Say Anything will have YOUR friends talking and laughing in minutes! Every player answers a fun question like Whats the worst thing to say to a cop after getting pulled over? or Whos the most annoying celebrity in show business? Then players try to choose which answer the judge will like best. 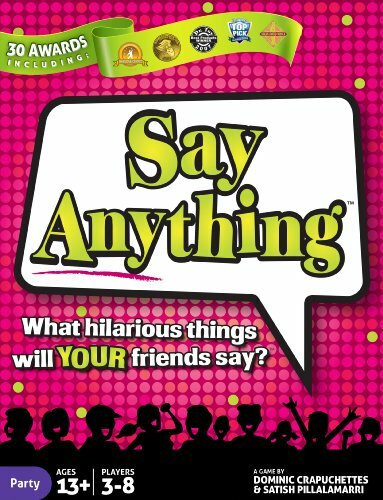 Play Say Anything and find out what hilarious things YOUR friends will say!